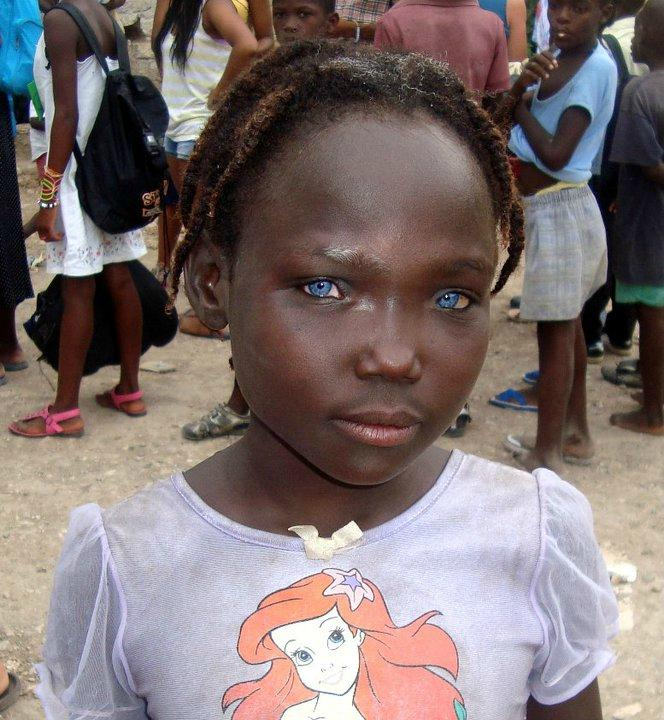 Haitian girl with beautiful blue eyes. Her eyes are most likely the result of Waardenburg Syndrome type 2. Note the bit of white hair and bit of white eyebrow. Waardenburg Syndrome Type 2 is caused by a MITF Gene mutation. I found this image on the internet and was unable to determine copyright. If you own this photo please contact me so that I may give credit or remove it at your request.